For majority of Filipinos, only four categories of people exist. High on the list of “trustables” are those who belong to religious orders and whose mere presence guarantee miracles pinned with hopes of earning them a place in heaven. Then, there are the title holders – to include politicians and those up in hierarchy who seem to exude power at every turn and command blind obedience. Then, there are the entertainers – the stargazers – the actors, singers, dancers who thrill at every move and with every smile, and who may later be transformed into politicians. Also, included in this category are beauty queens who end up simply dazzling with their crowns on pedestals, then later move on to the silver screen. And lastly, of equal importance as entertainers, are the hardcourt dribblers – the basketball players who enjoy a unique kind of stardom. They become the hoop heroes whether on or off the courts. Some later transition into the movie world or some even dive into politics after their use by dates. All are entwined weaving the never ending string of hope for fame and fortune. 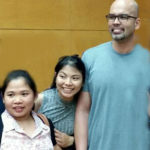 And Filipinos will kowtow and do anything to stand next to anyone of these people. To be within sniffing distance of any of the above characters, suffice. 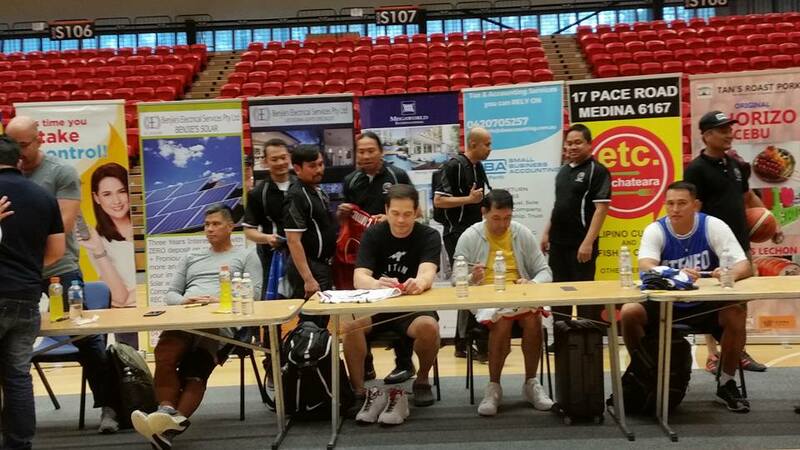 Last weekend, the PBA Legends descended in Oz and were on show at Perth Basketball stadium. And the Filipinos of Perth came out in droves to watch their idols return to the hardcourt for an exhibition game with the Pinoy Perth team who were formidable opponents. 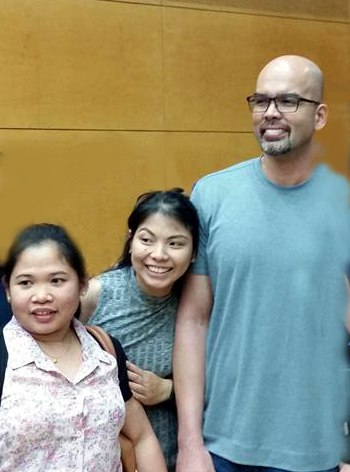 Heading the once upon a time superstar PBA Legends line-up was Benjie Paras. Now in his fifties, though still slim and trim, Paras had turned actor/comedian. And he got the crowd roaring with just the mention of his name. He was there for the entertainment factor and injected comedy in his introduction of each of the players. One would have thought it was an aged version of the Harlem globetrotters minus the tricks. On the bench were the some of the Philippines’ basketball superstars of the nineties: Hizon, Patrimonio, Viray, Leanillo, Balingit, Lastimosa, Locsin, Mangalo, Caidic, Fuleros Brothers, Dancar, Nestor, David and Mangalonzo. They were the tall, dashing lean machines with rhythm in their feet who danced on the courts. They shined long after the Crispa and Toyota lost their sparks. All were legends in their own rights from the later formed PBA teams like Alaska, Ginebra, Shell, Meralco, San Miguel etc. All had rightly earned their MVPs, boasting of high point scores and record breaking shots. They were the second or even third generation of PBA players who were elevated to hero status and it showed. But hey, where’s the skin? These guys strutted their skills on the hardcourts way back in short shorts and socks raised to their knees, revealing a bit of their thighs. All gone! Now, they seem to be swimming in their shorts that looked more like Dolphy’s “porontongs”. Obvious too, was the passing of time. They’ve been “waisted” – a few layers were added and wrapped around their bellies. No magic steals, no amazing dunks and definitely no jack-knife shots. No surprise pirouettes that converted right into the hoops. However, despite diminishing hairlines, if not expanded foreheads and strapped on knees, they still had the magic that titillated an audience that grew up with basketball. Despite the years, they still had the rhythm, could still shoot a three-point basket from the 20-foot line and yes, they could still run (a huffing and a puffing) the length of the court. And yes again, both the young and old dressed in team jerseys endured the long queues for the rare autograph and posed for the photographs they missed out in the younger days. Photo bombing and stolen selfies were squeezed with their once-upon idols and it was indeed a sight to behold! And the score? Who cared! Of course, the PBA Legends led all the way. For their screaming fans, it was simply a chance to cheer them on and reminisce the glory days of PBA basketball.